With spring slowly approaching, March is a great month to organize some last minute spaces inside. Go through your phone, your budget, and even your meals. See what changes you can make, and what things you can throw out. 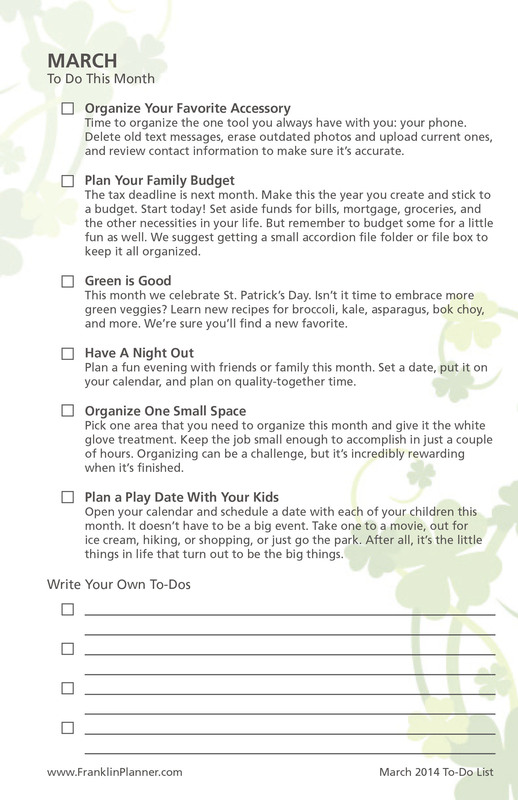 Organizing these small aspects of your life can prepare you for whatever spring has to offer.